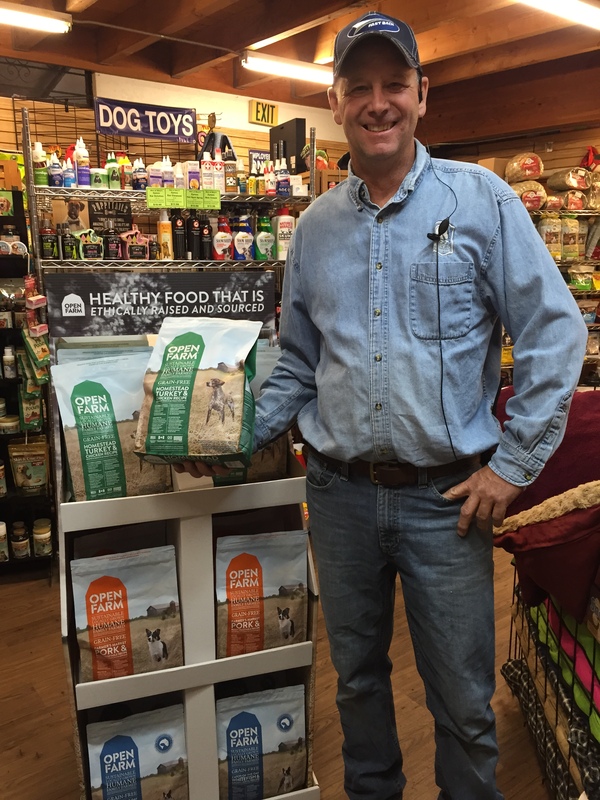 Mary’s Tack and Feed now carries Open Farm Dog Food, the first Humane Certified Dog Food by Humane Farm Animal Care standards. Open Farm is a family run business that sources only the highest quality ingredients from local suppliers they know and trust. The entire farm-to-bowl supply chain is audited and certified by third-party organizations specializing in humane animal care and sustainable farming practices to give you peace of mind. Bobby, a 9 year veteran of our Feed Department shows off the Open Farm display. Open Farm recipes are formulated without grain, corn, wheat and soy; rendered meat or poultry meals; artificial preservatives and flavoring; meat and poultry byproducts; industrial farmed fish; or any ingredients from China. Their recipes are high in fresh meat and protein. They use fresh, locally harvested fruits and vegetables, and their formulas are a good source of coconut and fish oils, omega 3 and omega 6 fatty acids and prebiotic fibers. Open Farm is also a rotational diet which means you can feed your pet any of the formulas without transitioning steps. The flavors include: Homestead Turkey & Chicken Recipe, Farmer’s Market Pork & Root Vegetable Recipe, and Catch-of-the-Day Whitefish & Green Lentil Recipe. 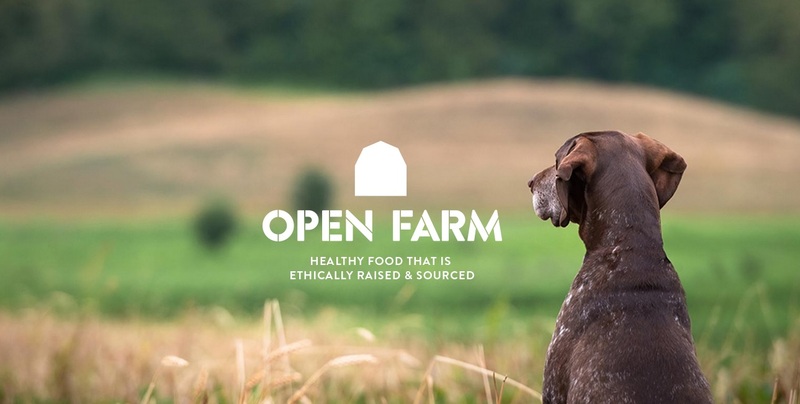 Each Open Farm recipe is subject to a set of rigorous standards in order to ensure your pet is provided with the best possible ingredients while maintaining a commitment to animal welfare and the environment. All meat and poultry used in their products is raised naturally on family farms with humane and sustainable practices; the animals are nourished by vegetarian diets free from antibiotics and hormones, and raised in environments where they have space, shelter and the ability to engage in their natural behaviors. Their fresh fish is always ocean caught and never farmed; free from antibiotics, artificial feeds and preservatives; and is sourced seasonally using environmentally sustainable fishing practices. In addition to their superb products and ingredient sourcing, Open Farm has partnered with TerraCycle, a leader in the recycling industry, to launch the very first North American pet food bag recycling program and provide customers with a free and easy way to recycle Open Farm bags, converting them to brand new products instead of sending them to the landfill. May 14, 2015 in Mary's Buyer Recommendations, New Products. NutriSource and Pure Vita Dog Food Now at Mary’s! ← FREE Equine GI Tract Seminar on Saturday, May 16th!